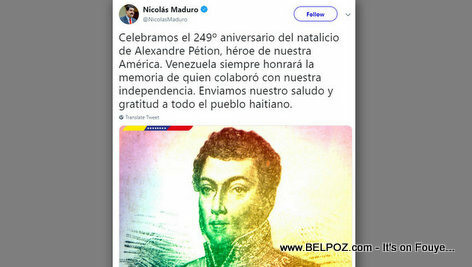 With all his political problems in Venezuela right now, Venezuelan President Nicolas Maduro remembers or of our Haitian forefathers, Alexandre Petion, on his Anniversary, 2 Apr 2019. Celebramos el 249º aniversario del natalicio de Alexandre Pétion, héroe de nuestra América. Venezuela siempre honrará la memoria de quien colaboró con nuestra independencia. 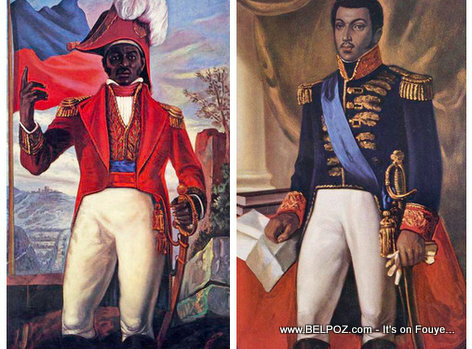 Enviamos nuestro saludo y gratitud a todo el pueblo haitiano. Translation: We celebrate the 249th anniversary of the birth of Alexandre Pétion, hero of our America. Venezuela will always honor the memory of those who collaborated with our independence. We send our greetings and gratitude to all the Haitian people.